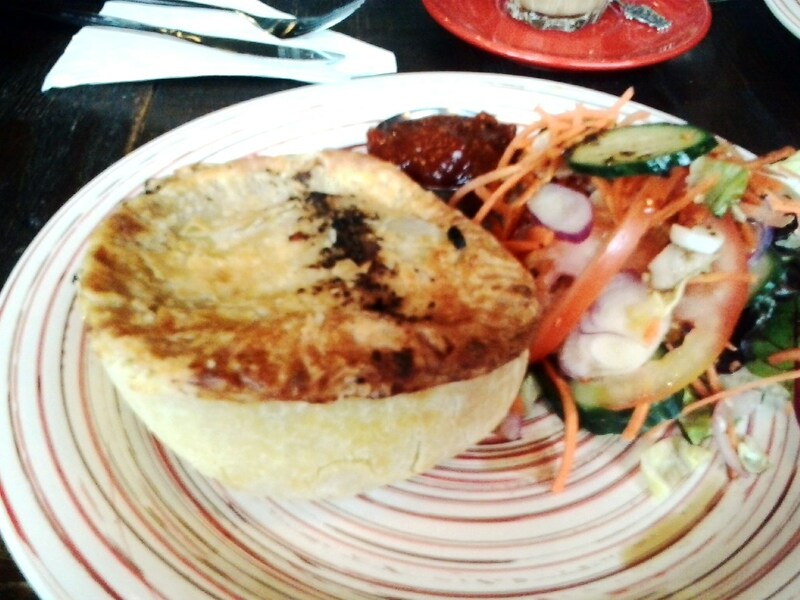 Dish Cafe, Geelong | Beef & Cheddar Pie | Australia’s First A+ Pie! Pastry: soft and thin, yet does not fall to bits. The texture of the pastry is quite different to any other pie I have tried, which adds to its uniqueness. The pastry is like a very fine bread crumble, and it is delicious. The puff pastry lid is not too thick and rounds off a great pie. Meat: no nonsense chunks of rich beef and slightly nutty cheddar cheese mixed in. There is very little gravy in this pie, because it is stuffed to the rafters with MEAT. You probably can’t tell from the crappy photo, but there is loads and loads of filling. I found peas and carrots, onion and garlic in the mix. The taste of this pie’s filling is very savory. That is ambiguous, I know. It is that perfect combination of sweet spices (reminiscent of raisins and cloves) and bitter spices; perhaps thyme or rosemary, or neither. I can’t be sure. Overall, this pie truly delivers with its rich taste and ‘homemade’ affection towards your taste buds. Overall Satisfaction: fantastic! When the pie arrived with its side of salad I was really surprised by how big it is. It is an enormous pie and one of the biggest I have had the pleasure to devour. Usually I still feel slightly hungry after eating a pie, but with this one I could barely finish it. It is loud without being melodramatic, and has been made with love. The makers of this pie do not stint on good quality chunks of beef, and actually use a decent tasting cheese that isn’t overpowering. 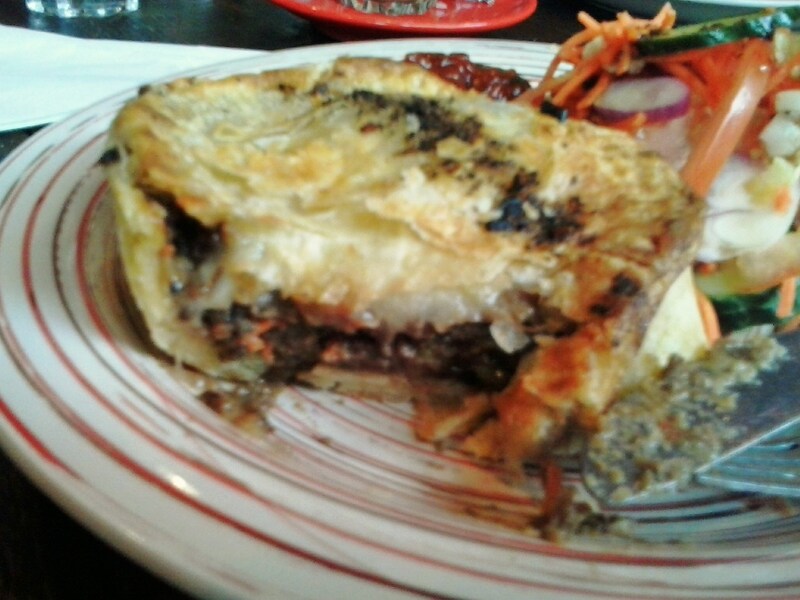 Overall, I am extremely satisfied with this pie and encourage others to visit Dish Cafe. As extra kudos towards the Cafe and their pie, this will be the first pie in Australia to receive an A+ rating!